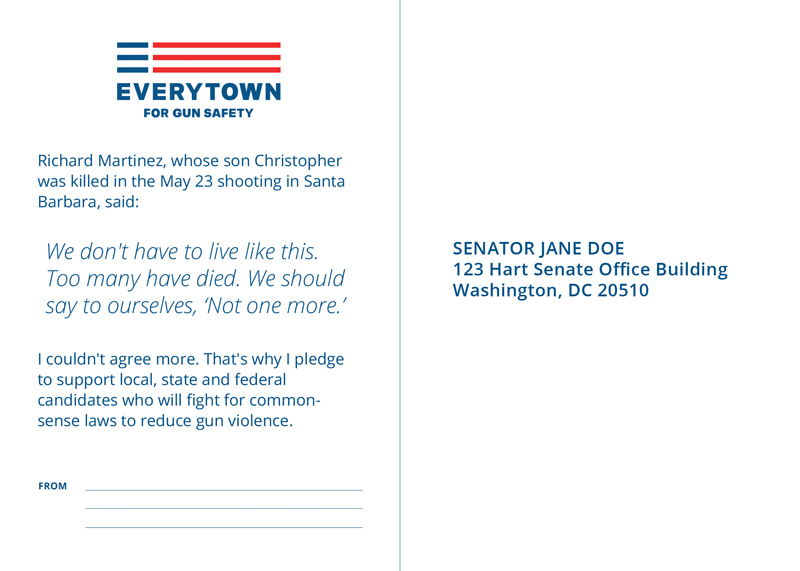 UPDATE: As of June 16, Everytown is no longer able to accept new postcard signatures. We will deliver more than 2.4 million postcards to elected officials in the coming days. 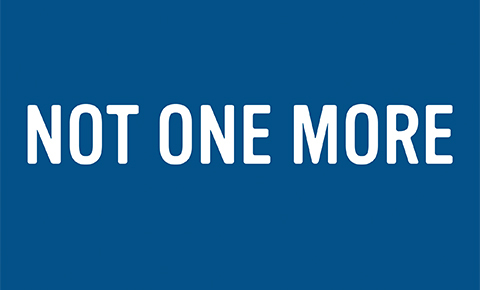 "Today, I'm going to ask every person I can find to send a postcard to every politician they can think of with three words on it: Not One More. People are looking for something to do. I'm asking people to stand up for something. Enough is enough." We couldn't agree more. Use this form to send a postcard to each of your members of Congress and your Governor. Enter your information in the form below to send a postcard now. Please provide your full address so we can send a postcard to your members of Congress and governor. k j. just signed the Send a Postcard to Your Elected Officials Now petition. Ilana S. just signed the Send a Postcard to Your Elected Officials Now petition. Rebecca S. just signed the Send a Postcard to Your Elected Officials Now petition. Kevin L. just signed the Send a Postcard to Your Elected Officials Now petition. Colleen F. just signed the Send a Postcard to Your Elected Officials Now petition.